*** All early bird tickets sold out for tonight, if anyone want to come, you may need to wait at the door and see if we still have walk in tickets to sell. Thanks for support JAZZ UP Kowloon 饒擺爵士: Jazz Ladies! The one-and-only all ladies jazz band formed in Hong Kong is ready to give you a unique musical experience. 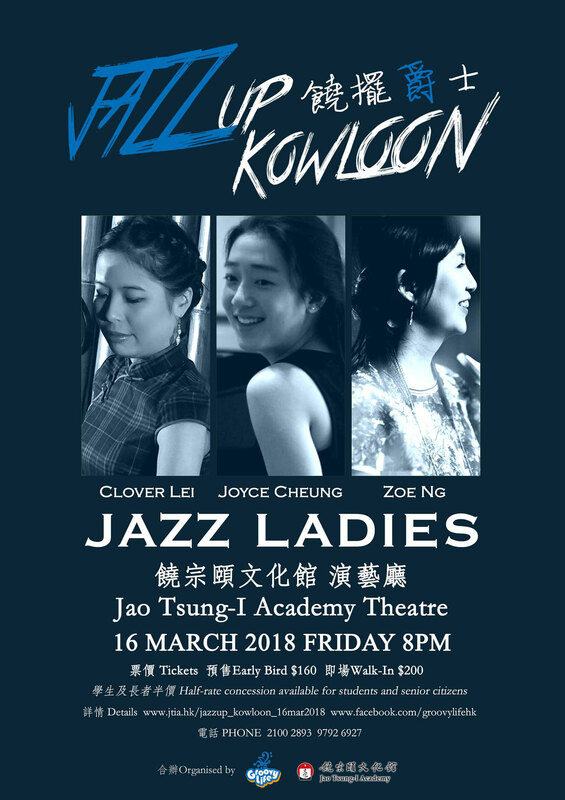 Coming from different musical backgrounds, Zoe Ng (Saxophonist), Joyce Cheung (Keyboard) and Clover Lei (vocalist) gather to create as they share the same passion for music. With a charismatic personality that manifests itself in the “Jazz Ladies” group, they absorb the flow of tunes and wraps it in their own style to successfully create an "intimate, moody yet nonchalant" connection with the listeners. Do expect to find jazz, blues, soul, original compositions and share a good time with the “jazz ladies”. 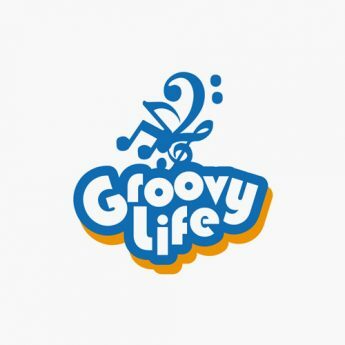 She then went back to Hong Kong and started the production company – Music Crossing and music entertainment service company – Ritzy Live with her business partner. Since then she has participated in numerous wedding/corporate events, scored and produced a few jingles as well as some other creative arranging projects. In addition to being a performer, Joyce Cheung is also a composer and arranger. In the last 3 years she has worked on a variety of projects from pop string quartet arrangements to a 100-piece orchestral and choral musical. She has showcased her talents in Indonesia, Taiwan, Singapore, Thailand, Boston, Valencia and Madrid. Joyce Cheung recently received her Masters Degree from Berklee College of Music in Contemporary Performance. She spent the year working on the project “Jazzical” which consists of 4 contemporary arrangements of famous classical repertoire. She is planning to continue her career as a performer, arranger and composer. Zoe Ng has got faith in music since her first music lesson in the kindergarten at age 3. Dreaming to be a professional musician, she started to learn to play the piano and participate in school band in primary school. In secondary school, she fell in love with the expressive and colorful tone of the saxophone. Later on, she got the chance to learn classical saxophone with Mr. James Lo and started her journey of Jazz music when playing in the Brandenburg Saxophone Ensemble. Zoe has formed a Jazz band called Feel IM with several Jazz lovers and actively participated in university music festivals. After finishing the Grade 8 ABRSM Exam in Classical Saxophone, she followed the renowned Brazilian touring Jazz saxophonist Mr. Paulo Levi and the European touring Jazz saxophonist and educationalist Prof. John Ruocco for Jazz and saxophone performance. In 2003, she lined up with some saxophonists and formed the Upstairs Saxophone Ensemble as first alto & soprano saxophonist. In September 2009, she was invited to perform with the Funk Jazz band “McCadden Place Collective” in Kubrick and the Fringe Club. In 2010, she was invited to be the tenor saxophonist to perform with the "Renfrew Group Jazz Orchestra". In 2011, she formed the Tuesday Saxophone Quartet as Soprano and alto saxophonists. Zoe is also working on her study in jazz improvisation by following the jazz master saxophonist Jim Odgren, Allan Chase and international jazz vibraphone master player and educator Gary Burton in the specialist certificate course for improvisation in Berklee school of music . Zoe has played in the Macau Woodwind Festival 2003, Taipei Jazz Festival 2007 and 2008, and has had rich experiences in band competitions and performances. Zoe plays the soprano, alto and tenor saxophones, the clarinet, the flute, the recorder as well as the piano. She is now working as Music Director at Zaxophone Academy. She is also a full-time saxophone/ clarinet teacher in schools, private music tutor and performer. This girl writes songs anytime, anywhere. Waiting on the platform for the metro to Olympic station, snack shopping in ParknShop supermarket, hiking in the breath-taking Machu-picchu, she let you walk into her universe through music.